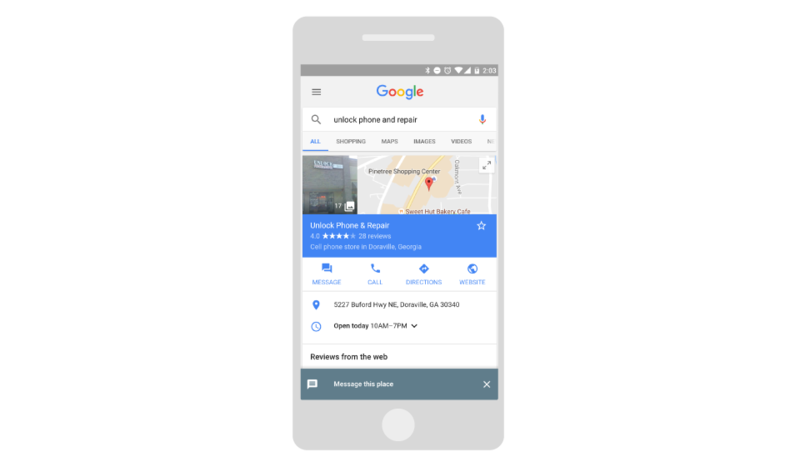 Google My Business is testing a new live chat feature in the local search results. The feature is available to a select number of businesses, and to be involved in the test, your business has to receive an email invitation from Google. How does the chat feature work? The feature adds a message button similar to the click-to-message ad button in your business’s local search listing. The button seems to only appear in mobile results, probably because when a searcher taps the button, it opens their default SMS app. Businesses have the option to use a text messaging app or Google Allo, Google’s new messaging app, to chat with customers. Customers will also see a typical response time, and the Google My Business help document explaining how to chat with customers using the new message button warns businesses that they could be removed from the test if they consistently take too much time to respond. This seems similar to Facebook Messenger chat, since Facebook gives users a typical response time for businesses that use Messenger to chat with customers. Here’s an image of how the message button will look in mobile search results. Who can use the Google chat feature? As we mentioned before, this feature is only available to businesses that have been invited to participate. However, keep in mind that the businesses that were invited to participate in the Google My Business chat with customers test have probably claimed and verified their Google My Business accounts. Even if you don't want to be involved in future Google tests, you need to claim, verify and optimize your Google My Business page with correct information, business category and high quality photos to give yourself a better chance of showing up in relevant local searches. While the test isn’t available to all businesses yet, there is a chance that Google will make this available for all businesses that want to participate in the future. 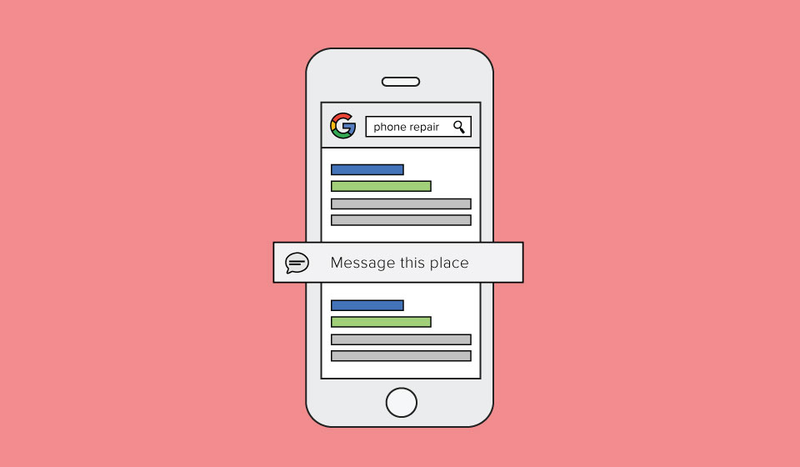 Google messaging makes it easier than ever to engage with local consumers who are looking for businesses like yours. Make sure your online citation information is correct and consistent across platforms and that your Google My Business page is optimized with all the information we mentioned before. If it seems like Google is constantly changing the search results, that’s because Google is always trying to improve the consumer experience. Your business needs to keep up with these changes in order to stay ahead of the competition. If you don’t have time to keep up with (and adapt to) the changes yourself, find a digital marketing partner to work with you on your digital strategy (hint hint). David Jackson is the Director of Client Strategy at RevLocal, and is responsible for the development and execution of our digital marketing strategies to ensure quality and value for our clients. Click here to learn more about RevLocal's local search marketing services. Thanks for sharing this valuable information to our vision. You have posted a trust worthy blog keep sharing. Nice article i was really impressed by seeing this article, it was very interesting and it is very useful for me.